FARM ANIMALS | Happi Happu. A concept design artwork for an app for children that encourages learning through play. 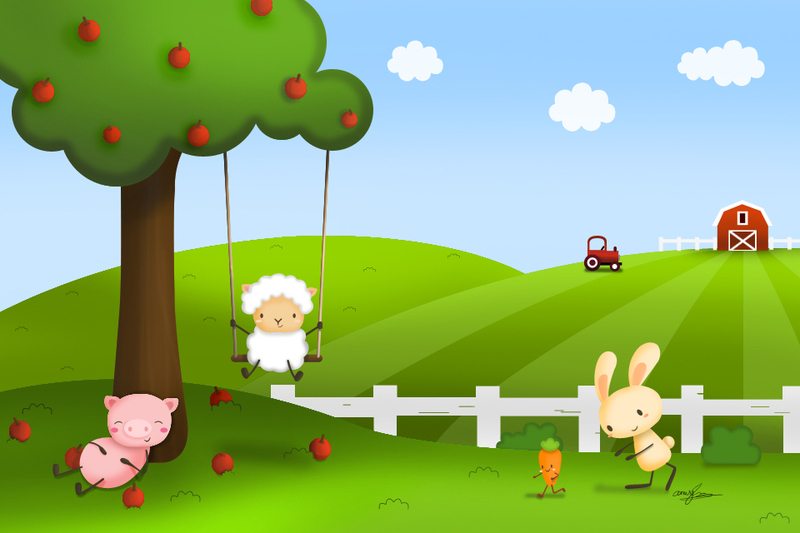 Brief: To design a farm scenery with three animals in Adobe Photoshop.